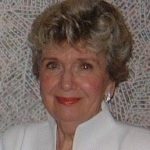 Jane R. Landau, of Wesley Village, passed away peacefully on November 2, 2018, surrounded by her loving family. She was married to the late Julius Landau. Born in 1925 in Pittston, she was the oldest of 5 children of Arthur and Lenore (Jones) Oliver. She graduated from Pittston High School and began a career in the banking sector. She married William Smith and took some time off from work to start a family. She returned to the banking industry at Susquehanna Savings & Loan and advanced to vice president of lending. 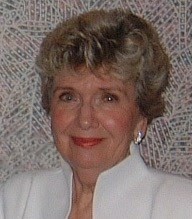 Susquehanna Savings was purchased by Atlantic Financial from which she retired in 1987 after a successful and gratifying career. Jane was most comfortable when she was around family and friends. Her favorite pastimes included her weekly bridge games and dinners at Grico’s with her wide network of close friends. One of her favorite pastimes was gardening and she began each season early with seedlings under growing lamps. Her flower gardens were spectacular and were featured in local Sunday newspapers over the years. She enjoyed sewing and knitting and made many beautiful items for herself and her family. Jane was also an avid reader and was known to devour two or three books a week. She kept abreast of current events and loved a lively discussion of such. Holidays and family gatherings were always her favorite times. She also had an interest in genealogy and traced her family heritage back several generations even making a trip to Ireland to visit family gravesites. Speaking of Ireland she was always glued to the big screen when the Fighting Irish were on. In addition to her parents she was preceded in death by her beloved second husband, Julius Landau whom she wed in 1984; sister Mary McGinty and brother-in-law John McGinty. Surviving are her sons : Ned Smith of Buffalo, New York; Kevin Smith (Caroline) of Jenkins Township; daughter: Debra Gildea (John) of Forty Fort; extended family Dr. Leo Landau (Mary) of Shavertown; Jay Landau (Helene)of Clarks Summit,; grandchildren Cheryl Quinn (Gary), Kimberly Jones (Robert), Evan Smith, Kendall Smith, Attorney Kevin Smith, Shaun Gildea (Erika), Brian Gildea, Kyle Gildea, Ellie Steinruck (Paul), Lori MacLeod (Matt), Maia Landau (Daniel Dens), Heather Schreiber (Douglas), Mollie Kropp (Donald), Abby Sacunas (Robert), Kerry Meabon (James); great grandchildren Anna and Mason Jones, Kayla Smith, Fiona Gildea, Max and Sam Steinruck, Maggie, John, and Marco MacLeod, Cameron and Stella Sacunas, Colton Meabon , brother: Karl Oliver (Cindy) of Milford, Delaware; sisters: Lois Forlenza (Louis) of West Pittston; Sharon Gold of Arlington, Virginia. Special thanks to Dr. Mauer Biscotti, Hospice of the Sacred Heart, and the staff at Wesley Village for their love and caring during Jane’s illness. A Mass of Christian Burial will be held at 10:00 a.m., Tuesday, November 6, 2018, in Corpus Christi Parish, Immaculate Conception Church, 605 Luzerne Avenue, West Pittston. Monsignor John Sempa will officiate. Those attending the funeral mass are asked to go directly to church Tuesday morning. Entombment will be held in Denison Cemetery, Swoyersville. Friends may call Monday, November 5, 2018 from 4 to 7 p.m. at the Corcoran Funeral Home, Inc., 20 South Main Street, Plains PA 18705. Memorial contributions may be made to Hospice of the Sacred Heart, 600 Baltimore Drive, Wilkes-Barre, PA 18702.